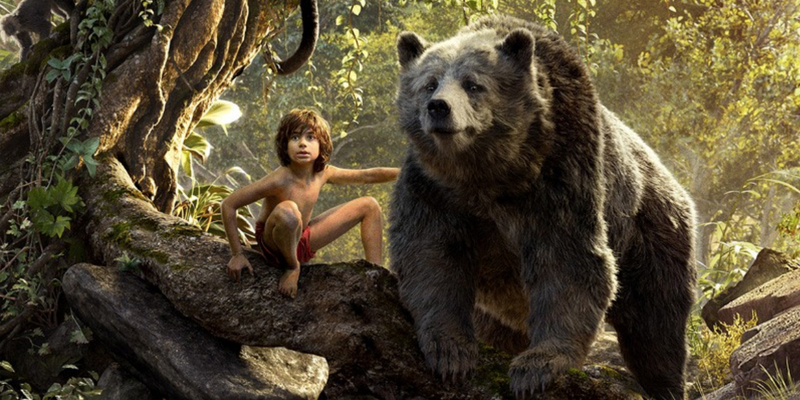 The latest Disney animated film from your childhood to be brought into live action is 'The Jungle Book'. Directed by Jon Favreau, this adaptation promises to be a visual masterpiece with all but one character being made up entirely by CGI effects. But would this be the only pleasing aspect of the film and would it be able to bring the life that the Disney animated version was able to do successfully? Raised by wolves since losing his father at a very young age, Mowgli (Neel Sethi) must leave the pack after he is threatened by the fearsome Shere Khan (Idris Elba) and is putting those close to him in grave danger. 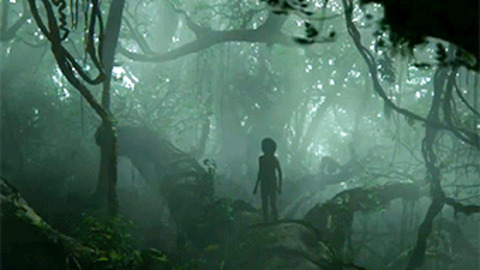 Mowgli is lead away by the wise panther Bagheera (Ben Kingsley) whom he becomes separated from. Due to this he encounters many creatures including deceiving snake Kaa (Scarlett Johansson) and then his protector and friend Baloo (Bill Murray). Mowgli will learn valuable life skills from his journey leading to him deciding to go back and face Shere Khan and end his reign of terror. It does seem quite odd that this is the first of two live action 'Jungle Book' movies to come in the next few years with Andy Serkis bringing the tale to life once again in 2018. However if it is as good as Jon Favreau's creation, I'm all for it. Favreau has brought us an adaptation of a film that has been made numerous times but never to this calibre. This film is one of the most impressive in the history of cinema when it comes to the special effects. It is hard to believe that this film wasn't shot in these locations and that it is all special effects to create this very realistic version of the jungle. Everything in the jungle looks incredible from the trees to the rivers that flow through the jungle. It's so visually impressive that you don't even think its visual effects- it leaves you adamant that you are actually in the depths of the jungle. Another part of the visuals that is so impressive is the details of the animals within it. Again, everything looked incredibly realistic with some standing out more than the others. Strangely I was particularly blown away by how great the porcupine looked and was sure that it was the real thing. The detail on the wolves as well were especially outstanding and true credit is deserved to all who worked on bringing these creatures to life. A visual masterpiece. 'The Jungle Book' also features some very well done action scenes. Everything was clearly visible and you didn't miss out due to loads of quick cuts and I feel it was done very well. If you have seen the trailer for the film, you will see Baloo and Shere Khan running towards one another looking at a potential square off. That scene in particular is pretty epic and one to look forward to seeing. Luckily the film wasn't just down to great visual effects. The voice castings for this film did not disappoint at all with all members doing a great job. Ben Kingsley was phenomenal as the wise panther Bagheera and was a great mentor and protector to Mowgli throughout the whole film. His calm portrayal and excellent delivery was perfect for Bagheera as he kept Mowgli safe and out of the clutches of Shere Khan. Speaking of Khan, Idris Elba was menacing as the vicious tiger who wants to get rid of Mowgli so desperately. He was the perfect voice to bring to this fearful creature and the combination was a great match. Bill Murray was great as Baloo and brought a whole load of fun to the film in what was a great reincarnation of the film. Murray's comedic delivery and timing was on show throughout the run time and truly proved to why he was the correct casting. It would of been a tough job to take over as one of Disney's most beloved characters and if it had gone wrong, Murray would've most likely of been crucified by many fans. Fortunately that wasn't the case. 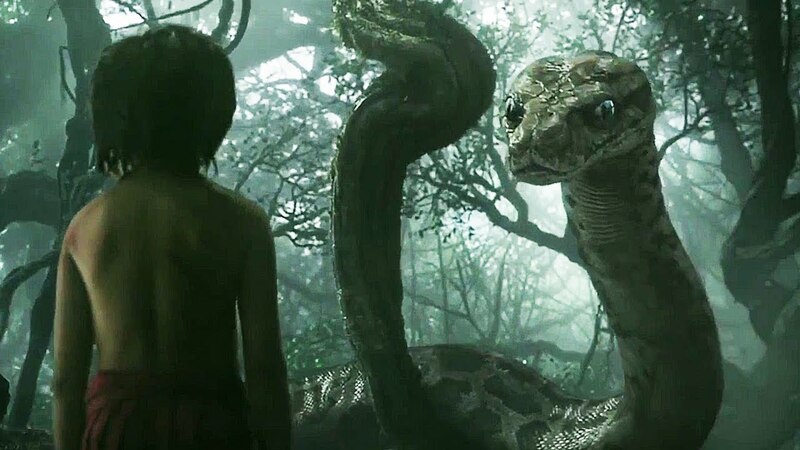 Scarlett Johansson was also good as Kaa the python. She did a great job as the seductive snake who draws Mowgli in with her hypnotising eyes and charm. Christopher Walken played King Louie which was highly entertaining to listen to whenever he was on screen. Albeit I wasn't a huge fan of the look of King Louie in this adaptation, I do feel that Walken made the character better. Although the voice acting in the film was pretty great, I can't say that I overly enjoyed the new versions of the classic songs. The Bare Necessities was fine but I don't feel it was nearly as fun as the one in the animated film. I wasn't a big fan of Christopher Walken's version of 'I want to be like you' and feel it was vastly inferior to past renditions. As a whole the live adaptation probably isn't as fun as the animated classic. However it doesn't try to be and is much more intense. There were many times when I could physically feel people in my row jumping in their seats due to what was happening on screen. If you are expecting this film to be all happy, you won't get that throughout the whole run time. I'm not saying its devoid of this but there are certainly some very intense scenes. Intense to the extent that I'm unsure that this would be perfectly suited for little kids as it may be too much for them at certain points. 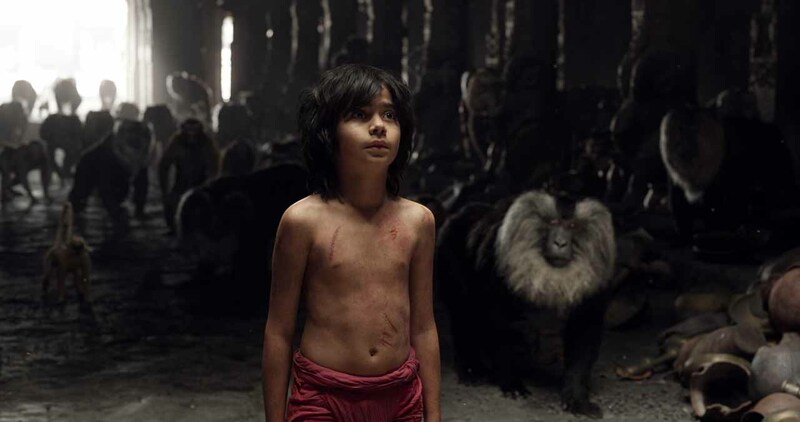 Neel Sethi definitely does deserve credit for his role as Mowgli in the film. For your film debut to be in a film that is entirely CGI must of been really challenging. The fact that he would of had nothing to really act against for most of the shooting really makes this an impressive performance especially from an actor of such a young age. 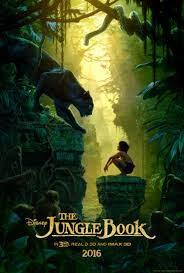 A very good adaptation of 'The Jungle Book' following mainly the same tale. A visual masterpiece with great voice acting that is most definitely worth seeing! So have you seen 'The Jungle Book? If so what did you think of it? If you haven't seen it, I hope this review has maybe influenced your decision to go see it! Once again thank you for reading, it is much appreciated!